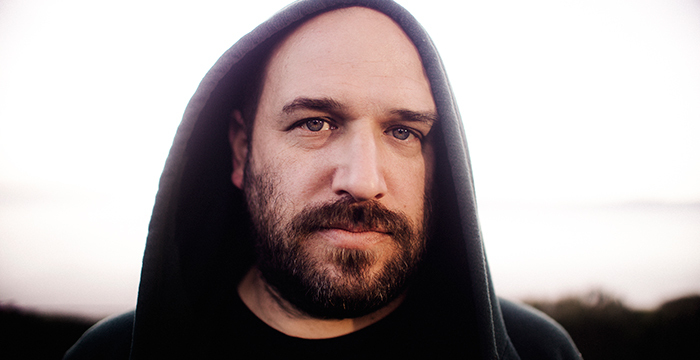 David Bazan has never had the answers. His first two solo records, 2009's Curse Your Branches and 2011's Strange Negotiations lived inside questions. Questions of politics, of relationships, of addiction, and of God. For anyone looking to art to remove doubt, Bazan is not that refuge. With a catalogue that orbits the darkest corners of the human experience, his songs are the tiny pinprick of light, the first breath coming up for air, the rest stop on a trip with no destination. Having spent half of the last decade on tour, away from home, David Bazan's new album reflects the wandering life of a traveling troubadour. And while there is joy in that life, Blanco is born of its challenges. It's what, and whom, he leaves at home that you hear on Blanco. Made up of tracks that were previously available in a very limited edition 7" vinyl series called Bazan Monthly, Volume 1 and Volume 2, Bazan turned to northwest indie-rock veteran Yuuki Matthews, who both co-produced Strange Negotiations and co-founded celebrated indie band Crystal Skulls, to help craft the endeavor. "I walked in thinking that we would have to scrap all the ideas I had as garbage once he heard them" says Bazan. "Instead he said these are great, let's get started." Over the next twelve months the pair would record over a dozen songs together, ten of which comprise Blanco. fish don't swim, fish fly!